One of TIFF's 10 best Canadian films of 2017, Allure stars Evan Rachel Wood, and you could win run-of-engagement passes to see the film at the TIFF Bell Lightbox in Toronto! Allure opens April 6th, 2018. Via Facebook: LIKE & FOLLOW our Facebook page and leave a COMMENT on the Facebook contest post to tell us the original title of the film when it premiered at the 2017 Toronto International Film Festival. Click here to enter. 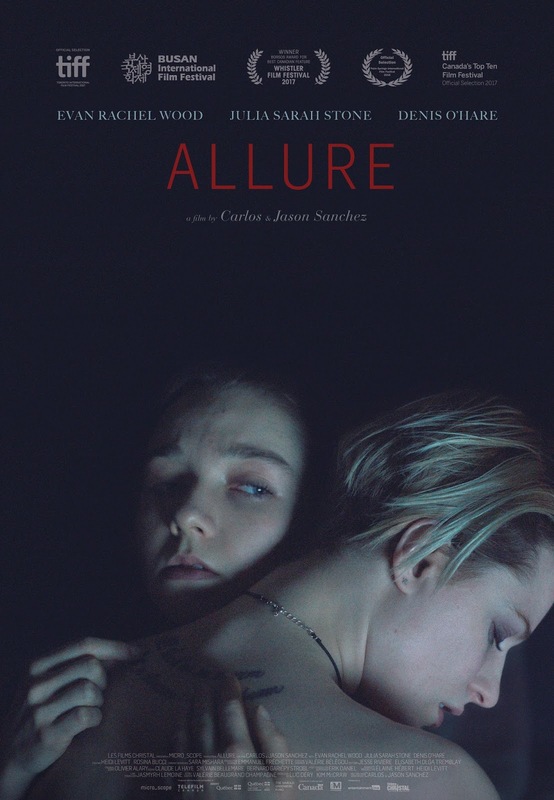 Via Email: EMAIL thereelroundup@gmail.com using the subject line 'Enter Me to Win Passes to See Allure', and provide your full name, email address and mailing address in the body of the email.